1. Black Pepper Essential Oil: A massage with this oil is soothing and extremely beneficial for bowel movements. It regulates normal digestive functions, reduces flatulence, and makes the movement of bowels faster. 2. Pink Grapefruit Essential Oil: It is a great digestive stimulant that can improve the contraction of abdominal muscles and boost the activities of the digestive tract significantly. 3. Rosemary Essential Oil: This aromatherapy oil works on our cardiovascular system in order to make the blood circulation better throughout the body. As a result the cells and tissues of the digestive system gets energized as well as revitalized, which indirectly promotes bowel movements. Apart from these, you can also give peppermint, cinnamon leaf, fennel, rose, basil, sweet marjoram, sandalwood, lemon, ginger and orange essential oils a try for staying away from the chronic problem of constipation. Start with gathering all necessary ingredients that you will require in due course. These include one essential oil (100% pure) of your choice, carrier oil, lemongrass, ginger, hot water, a dark-colored bottle and a small mug. 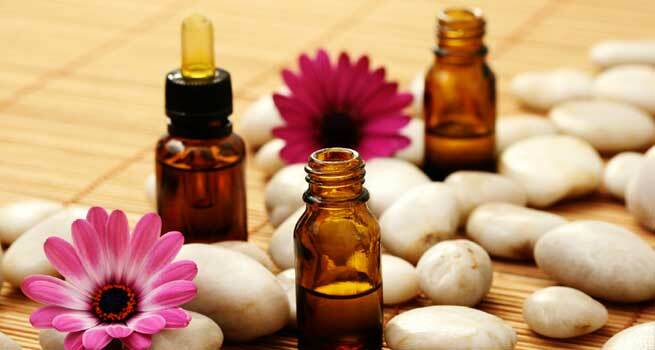 A carrier oil or base oil is required for preventing skin irritation during the massage. Also, make sure that you use a dark-shaded bottle for storage. Or else, the oil mixture will get reduced fast. Now, prepare your oil for the application. 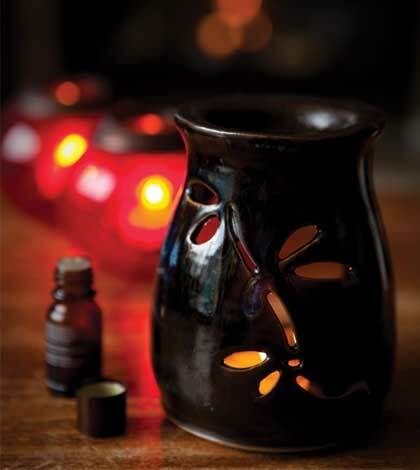 Blend your selected essential oil with its carrier oil well. The quantity of two oils will depend upon the volume of the bottle that you are going to use for storing the oil mixture. However, 2 tablespoons carrier oil is enough for 20-30 drops of essential oil. Finally, massage your abdominal skin with this essential oil mixture. You should not press your stomach hard during this step. Rather, make use of your fingertips and massage gently in a slow and circular motion. After a couple of minutes, go to the lower section of your breasts and start massaging downwards from that part. Both your hands should be involved this time and you have to put a little force as you approach your abdomen. Do this massage everyday for 15-20 minutes so that the movements of your body wastes become easier and faster. As it will treat the problem of sluggish bowel successfully, you will also be able to escape the discomfort of constipation. So, just follow this procedure and get rid of constipation permanently!